The #GoTeamGray project was born out of a desire to share Will and Angie’s journey in the most effective, streamlined way. It was an opportunity to involve even the most far-reaching friends in our struggles, in our joys, and ultimately in our grief. Through the process, a community blossomed in a way parallel to the how Will lived his life. Over time, you’ve witnessed the blog posts move from updates to memories to Angie’s thoughts on grief, and we thank those of you who have still remained plugged into the community. Grief is isolating. Living without your best friend and Love is isolating. But knowing that there still is a community out there who cares does bring comfort. Your continued support and love for Will and Angie have kept a sense of beautiful community alive. In the spirit of this community, we wanted to share a bit of news we feel is worth noting. Three years ago today, Will debuted his documentary, Broke*, at the Nashville Film Festival. The film was praised by many and was ultimately awarded “Most Original Vision.” On this third anniversary, we are asking for a little help from our #GoTeamGray community. The distributor for Broke*, Snagfilms, recently wrote Will/Angie to say that any promotion of Will’s film that tagged/mentioned Snagfilms would in turn receive promotion from them. Obviously, doing this will get the word out to even more people who can get a taste of Will’s incredible work. Nashville Film Festival’s 2011 winner for Most Original Vision, Broke*, created by my friend Will Gray, continues to ask relevant questions for independent musicians everywhere. Watch for free on @Snagfilms http://goo.gl/AtgbTd, or rent/buy it on iTunes. 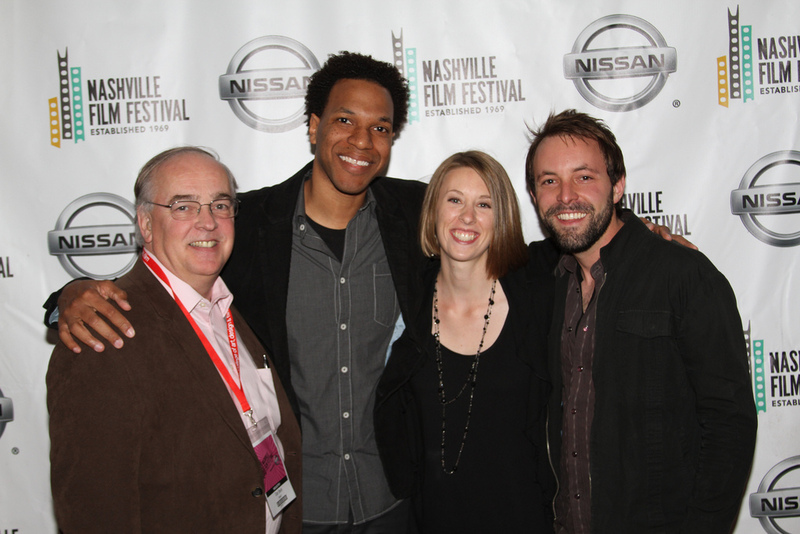 It won Most Original Vision at the Nashville Film Festival in 2011, challenging all those involved in the music industry to think about the way they do business. Today, Will Gray’s documentary, Broke*, is available on multiple media sources like Amazon, Google Play, Vudu, Xbox, etc., as well as cable on demand platforms like Comcast, Verizon FIOS, and DirecTV, to name a few., and for purchase or rent on iTunes. Check it out for free via @Snagfilms http://goo.gl/AtgbTd. Thank you all for continuing to keep Will’s personal legacy alive, as well as considering to assist in carrying on his professional legacy. If you personally haven’t seen Broke*, we invite you to check it out here. If you have, you know it serves as such a touching reminder of who Will is and what he spent countless hours working toward. We here at #GoTeamGray have found it beautifully therapeutic to once again watch our friend and brother on screen sharing his struggle with becoming a self-sufficient independent artist. It’s wholly Will, through and through. I will post this on my Facebook page in the morning! John is right, we want others to be introduced to and fall in love with Will’s work! Thank you Angie. I love being a part of #goteamgray. So much love coming from you and everyone involved. Sending all my support and love back. I am excited for more people to have the opportunity to share in and enjoy the work Will and others have produced.